Competition Prize Draw: Win A Meal For 2 at Trattoria Guidi Airdrie! ad+ is giving you the chance to win a treat for you and your partner. If you are selected as the winner of our free prize draw, you and your partner will enjoy a meal for two at Trattoria Guidi in Airdrie, Glasgow (worth up £60). Entering the competition couldn’t be easier – for your chance to win just ‘Like’ our Facebook page and then ‘Share’ this post. 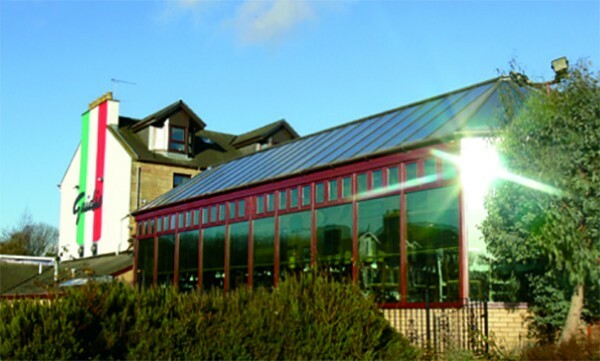 Trattoria Guidi is a stylish family-owned restaurant ideally located between Glasgow and Edinburgh, close to the town of Airdrie. The Management is committed to sourcing the highest quality ingredients both locally and from the Continent. On the menu you’ll find guaranteed grass-fed and traditionally matured beef, top quality fresh fish including Scottish salmon and fresh Shetland mussels sent direct from Aberdeen, and handmade desserts. Please find below the Terms & Conditions for our very special Free Draw competition. This Free Draw is open to all residents, aged 18 or over, of mainland UK, who also ‘Like’ our Facebook page and then ‘Share’ this post. The Free Draw competition closes at 2pm Tuesday 5th May 2015. This Free Draw competition is in no way sponsored, endorsed or administered by or associated with Facebook and entrants agree to release Facebook from any and all liabilities in connection to the competition. The winner will be chosen at random. All our decisions relating to the Free Draw competition are final. No discussions or correspondence with entrants or any other person will be entered into. Management’s decision is final. The winner will be contacted no later than one week after the prize draw closes. If the winner fails to respond within five working days of being informed of their win, their prize will be forfeited and a new winner selected. The competition prize details include: One meal for two at Trattoria Guidi (worth up £60). A valid email address must be entered plus a contact number to validate the winner. By entering this competition you confirm you have read and accepted these terms. If you have found this post interesting please use the share buttons below to tell your online community, there’s a good chance they will find it interesting too. Thank you.